For years, the internet has theorized Chandler's real identity -- everything from a Nazi war criminal to the Zodiac Killer. EASTLAKE, Ohio -- He's been a man of mystery for decades, but now we know his true identity. Who was Joseph Newton Chandler III and why did he steal the identity of an 8-year-old boy? U.S. Marshals and Eastlake police spent years on the case and finally cracked it, leading to a long-awaited announcement Thursday. They announced the man's true identity as Robert Ivan Nichols of New Albany, Indiana. The man had been living as Joseph Newton Chandler III until his death in 2002. He died by suicide in his Eastlake apartment at age 76, leading investigators to discover he'd stolen the identity of an 8-year-old killed in a Texas car crash. He left $82,000 in his bank account and had no criminal history, though U.S. Marshal Pete Elliott said Nichols had a suitcase packed and ready to go at all times. "You don't just assume the identity of a deceased 9-year-old boy and live that life throughout your lifetime. He was running from something," Elliott told WKYC in 2015. "I can't say what that thing was he was running from, but I would suspect, based on my experiences, it's something that was pretty bad in the past." 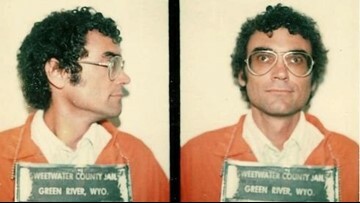 In 1978, the mystery man used the real Joseph Chandler's personal information to obtain a Social Security card in Rapid City, South Dakota. Not long after, he moved to Ohio and began working at Lubrizol. In 2014, U.S. Marshals took on the case and discovered the mystery man had been hospitalized in 2002. At that time, tissue samples had been taken. That sample was tested by the Cuyahoga County Medical Examiner to obtain a DNA profile, which received no matches in various databases. U.S. Marshals turned to Dr. Colleen Fitzpatrick and Dr. Margaret Press of IdentiFinders in 2016. Fitzpatrick and Press used Y chromosome genealogy to analyze the DNA and determined that the mystery man's last name was likely Nicholas, Nichols or a variation. Authorities in March 2018 tracked down Nichols' son, Phillip, in Ohio. Phillip Nichols provided DNA, which matched the DNA of the man who called himself Joseph Newton Chandler III. Phillip Nichols said his last contact with his father was in 1965, when he received a letter from him postmarked in Napa, California. Robert Nichols left his wife and three kids, telling them they'd soon find out why. His son, who spoke at Thursday's news conference, said he holds no animosity toward his father. "This put to a rest a mystery in our family what happened to him," he said. "We're grateful the discoveries have been made." Robert Nichols was injured in the Navy during World War II as he served on the U.S.S. Aaron Ward, which was bombed by the Japanese on May 3, 1945. Nichols received a Purple Heart, burned his uniforms when he returned home and resided in Deerborn, Michigan before settling in California in 1965. He was reported missing by his parents that year. His family never heard from him again. "We need the public's help to determine the why," Elliott said. "Robert Ivan Nichols never wanted to be found throughout his lifetime, even through his death and somebody out there may hold the key to why." 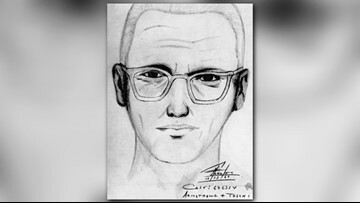 Theories on Chandler's true identity have circulated the internet for years, the most popular being his likeness to sketches of the infamous Zodiac Killer who terrorized Northern California in the 1960s and 1970s. By all accounts, the man living as Chandler was a highly intelligent loner, neat, and orderly. He also made electrical devices, like the Zodiac Killer, and was described as eccentric by most who encountered him. Another internet theory pondered if Chandler was Stephen Campbell, an engineer from Cheyenne, Wyoming wanted for attempted murder in 1983. Elliott told WKYC he looked at possible leads from all around the country and outside U.S. borders, such as Australia and British Columbia. He even admitted that investigators looked into Nazi war criminals who have disappeared.